While it's almost enough that Alex Goyette's Expelled redeems its one-word title from memories of the polemical documentary where Ben Stein blames the Holocaust on the theory of evolution, this teen comedy manages to be worthwhile on its own merits. Felix (Cameron Dallas) is an inveterate prankster whose lucky streak finally runs out. Finding himself expelled from high school and with a less-than-exemplary report card, Felix must hide both of these things from his parents (Kristina Hayesand Tom McLaren) while trying to get re-enrolled, despite the efforts of the evil principal (Emilio Palame). Expelled wears its Ferris Bueller's Day Off influences on its sleeve — Felix even narrates the film into the camera — but it also tones down the fantasy wish-fulfillment elements, and gives its hero an actual arc and a degree of introspection that keeps him from being an insufferable nozzle. Indeed, this kind of movie lives or dies by how tolerable the lead is, and newcomer Dallas is naturally charismatic onscreen, possibly owing to the fact that he's made hundreds of videos on Vine. Granted, most Vine users probably shouldn't headline a movie, but it seems to have worked for Dallas, as does Goyette's experience directing theAwesomenessTV sketch comedy series.Expelled isn't going to change the world, but it's a fun and promising debut film. As it turns out, casting a bunch of social media stars in a film is a good way to ensure that film performs well on digital platforms. Expelled, which stars Vine personality Cameron Dallas as a prankster who gets kicked out of school, reached #1 on iTunes just one day after its video on-demand (VOD) release. Expelled is produced by AwesomenessTV, which is partnered with Dallas across sites like Vine (where he has more than one billion total loops) and YouTube. Beyond Dallas, the film’s cast also includes many other online media personalities, including Andrea Russett, Lia Marie Johnson, Marcus Johns, Michelle Glavan and Teala Dunn. The film, first announced in November, was shown in theaters on December 12th and arrived on VOD platforms four days later. In the first few hours after its release, it raced up the iTunes charts, and at 8:18 PM, Russett snapped a pic of it sitting in the top spot. All of the film’s activity is cataloged on its official Twitter feed, which, as you might expect for a film featuring social media stars, is very lively. As Variety notes, the #1 spot on iTunes is usually reserved for blockbuster films. The film Expelled supplanted at the top, for example, was Guardians of the Galaxy, which has made $772 million at the box office. It’s unclear how much revenue Expelled raked in, since we don’t know the exact number of copies it sold, but the film retails for $9.99, and its place on the charts suggests a sizable gross. Read the full Article . . .
AwesomenessTV has a hit on its hands in high school comedy “Expelled,” starring YouTube and Vine celeb Cameron Dallas — a case study in how to make money from younger consumers with movies. The film, which received a limited run in theaters on Dec. 12 before being sold as a download on most digital platforms, debuted at No. 1 on many of the services, including Apple’s iTunes store, as a Digital HD title after its first day of release. It’s tough to compare how “Expelled” is performing vs. other Digital HD releases since most online retailers don’t release specific sales figures. However, the No. 1 slot on iTunes is often reached only by films that have earned more than $80 million at the box office. On iTunes, “Expelled” jumped from No. 52 on its launch day to No. 1, with fans and the cast cheering its ascension on Twitter...The successful digital release of “Expelled” is a “reflection of the ever-changing marketplace, with fans who want to own their favorite movies and enjoy them on their terms,” said Brian Robbins, founder of AwesomenessTV.​ Similarly, Fox, which distributes DreamWorks Animation’s films, sees the release of “Expelled” as ushering in a new business model with DWA’s AwesomenessTV, and as an opportunity to reach out to younger moviegoers — and consumers — in a new way. Read the full Article . . .
AwesomenessTV, the digital-focused division of DreamWorks Animation, will debut high-school comedy film “Expelled” with Vine star Cameron Dallas in the lead role in cinemas next month before releasing it on download-to-own services and VOD. In “Expelled,” Dallas — who has 6.1 million followers on Vine and 2.8 million on YouTube — plays Felix, a prankster who’s kicked out of fictional Eastwood High after one stunt too many. The movie also feature a cast YouTube and Vine creators including Andrea Russett, Lia Marie Johnson, Marcus Johns, Michelle Glavan and Teala Dunn, as well as Matt Shively (Nickelodeon’s “True Jackson, VP”). The film is slated for Dec. 12 theatrical debut in New York, Los Angeles and Chicago. 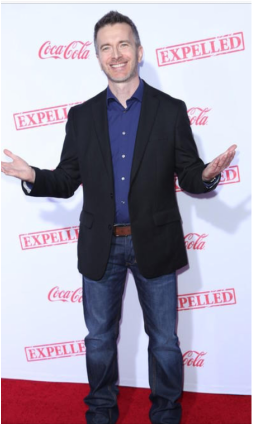 An AwesomenessTV rep didn’t have info on which theaters will show “Expelled.” Three days later, on Dec. 16, it will be available to purchase for $9.99 at ExpelledMovie.com and via Apple’s iTunes, Google Play, Comcast, Amazon Instant Video, Target Ticket and Walmart’s Vudu, with pre-orders available starting Friday. The film will be released on cable VOD Dec. 30. AwesomenessTV pacted with Twentieth Century Fox Home Entertainment to make “Expelled” available on digital platforms, while it’s working with VHX to power the direct-to-consumer release on ExpelledMovie.com.AwesomenessTV has lined up The Coca-Cola Co. as presenting sponsor of “Expelled,” and is already selling T-shirts and other merch from the film’s website. While it's almost enough that Alex Goyette's Expelled redeems its one-word title from memories of the polemical documentary where Ben Stein blames the Holocaust on the theory of evolution, this teen comedy manages to be worthwhile on its own merits. Felix (Cameron Dallas) is an inveterate prankster whose lucky streak finally runs out. Finding himself expelled from high school and with a less-than-exemplary report card, Felix must hide both of these things from his parents (Kristina Hayes and Tom McLaren) while trying to get re-enrolled, despite the efforts of the evil principal (Emilio Palame). Expelled wears its Ferris Bueller's Day Off influences on its sleeve — Felix even narrates the film into the camera — but it also tones down the fantasy wish-fulfillment elements and gives its hero an actual arc and a degree of introspection that keeps him from being an insufferable nozzle. Indeed, this kind of movie lives or dies by how tolerable the lead is, and newcomer Dallas is naturally charismatic onscreen, possibly owing to the fact that he's made hundreds of videos on Vine. Granted, most Vine users probably shouldn't headline a movie, but it seems to have worked for Dallas, as does Goyette's experience directing the AwesomenessTV sketch comedy series. Expelled isn't going to change the world, but it's a fun and promising debut film.